Frequently, employers assume that just because someone won’t take the job, it means Americans simply won’t do the work. There is a price at which (an employer) could fill all of his open positions, but when the unemployment rate is 2.4% , he’d need to pay more than $14 per hour. Of course, if you don’t want to use the blunt instrument of wages to attract people, you can offer other inducements that make it more appealing: benefits, more flexible scheduling, profit-sharing, a greater level of job security. The latest story to run in a major newspaper about how employers simply can’t find Americans to do the jobs they have open and are simply forced to turn to migrant labor at least has a twist. In this one, published by the Washington Post, the employer, Jesus “Chuy” Medrano, founder and owner of CoCal Landscape, himself immigrated from Mexico 44 years before. He really tried to hire only Americans this year. But when he failed, he wound up spending a lot of time and money to bring in a few dozen migrant workers from Mexico—legally—to mow lawns and maintain sprinkler systems. The story says Medrano “went to great lengths this summer to recruit Americans.” He interviewed anyone interested, advertised, raised wages to $13.95, overlooked absenteeism to retain people, and hired more women—“allowing mothers to work just the hours their children are in school”—and college students. None of it worked. In Medrano’s telling, he simply had no choice but to turn to Mexicans who were able to obtain special visas. 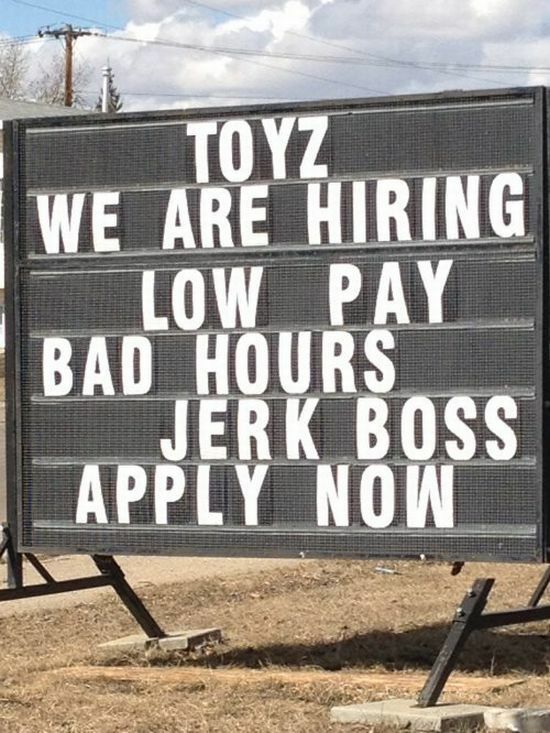 But like so many other employers, this business owner willfully misunderstands the labor market and the appeal of the work they have on offer. Too frequently, employers assume that just because someone won’t take the job, it means Americans simply won’t do the work. And all that is based on national numbers. In Colorado, the task is that much harder. The unemployment rate in the state is an unthinkably low 2.4 percent. 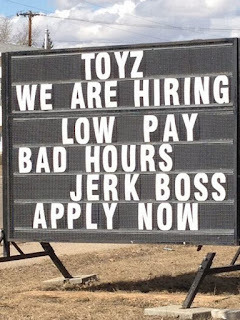 Simply put, pretty much everyone who wants a job in Colorado already has one. Which means if you are looking to fill a post, you better come heavy: offer above-market wages, an appealing work environment, good benefits, and job security. On every one of those measures, the landscaper falls woefully short. The starting wages are … $14 per hour which, sure, is almost twice the federal minimum wage. But it’s also 47 percent below average hourly earnings. Imagine going shopping for a house in a neighborhood in which the average house costs $500,000 and wondering why you can’t find a four-bedroom home for $250,000. That’s what Medrano is doing. Too frequently, employers—and the journalists who write about them—assume that just because someone won’t take the job you have on offer at the price you’re willing to pay, it means Americans simply won’t do the work. That’s not true. There is a price at which a landscaper in Colorado could fill all of his open positions, but when the unemployment rate is 2.4 percent, he’d need to pay significantly more than $14 per hour. Of course, if you don’t want to use the blunt instrument of wages to attract people, you can offer other inducements that make it more appealing: benefits, more flexible scheduling, profit-sharing, a greater level of job security. But here, too, beyond offering women the opportunity to work part-time while their kids are at school, there is little sign that this company has thought deeply about using these tactics. There’s a difference between a job and some work. If you don’t want to do the hard work of re-engineering your business so that you can pay people enough to meet the local standard of living, it makes sense to bring in people in from a place where the standard of living is much lower. That’s pretty much what large chunks of the U.S. service economy—restaurants, agriculture, construction, and landscaping—have done in recent years. But in an age of resurgent nativism and tighter border control, this strategy has its limits. A final piece of understanding this puzzle is that there’s a difference between a job and some work. Most people want a job. What the landscaper, and too many employers in the U.S. today, are offering is simply some work. If you don’t offer loyalty or the promise of a future to a potential employee at a time of 2.4 percent unemployment, why should people come flocking to your door? Reporter Tracy Jan notes that it is difficult to get workers to “invest in a company that does not promise year-round employment.” Once the fall turns to the winter, Medrano typically plans to lay off two-thirds of his workers. No wonder they’re not knocking down his door.